Greece's former finance minister was ready to hack into the country's tax collection system as part of contingency planning for a possible exit from the euro. The hacking was part of a "plan B" hatched by Yanis Varoufakis to create a parallel currency in case Greece was unable to agree a new bailout with its creditors. Varoufakis resigned on July 5 as the country's financial crisis spiraled out of control. Greece struck a deal with the creditors on July 13. He described the scheme during a teleconference with a group of investors earlier this month. A recording of the call has been made public. Varoufakis said he was asked to prepare a plan for Greece's exit from the euro by Prime Minister Alexis Tsipras even before the left-wing leader was elected. By enabling taxpayers to access money and make electronic payments through the tax collection website, Greece could continue to function for a while even with the banks closed. Varoufakis revealed how he employed his childhood friend, now a technology expert at Columbia University, to break into the tax collection system. "We decided to hack into my ministry's own software program in order to be able to copy the code of the tax system's website so that we can work out how to design and implement this parallel payment system," Varoufakis said. "It would be euro denominated, but at the drop of a hat it could be converted to the new drachma." Greece's independent tax collection agency was set up as part of the 2012 international bailout agreement. 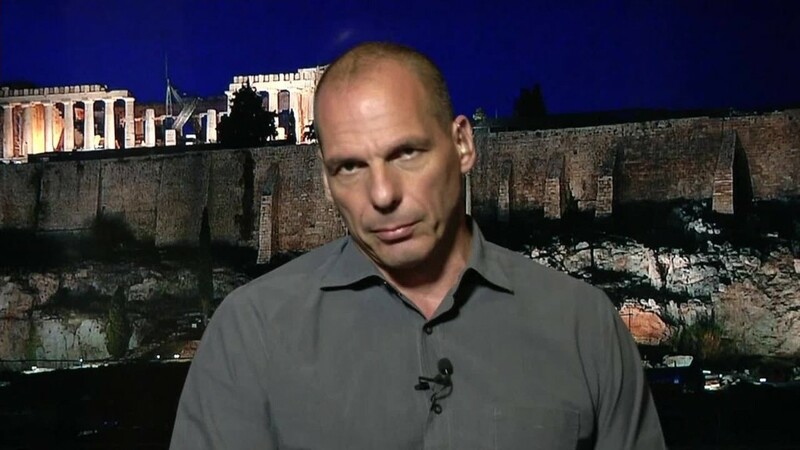 In the call with investors, Varoufakis said the agency is controlled by Greece's creditors. He said that he was not prepared to ask the foreign officials for permission to access the software, because he didn't want to reveal his hand while negotiations on a new bailout were underway. The bombshell revelation is likely to further damage the trust between Greece and its creditors. "Unveiled plans by Greece's ex-finance mininster Varoufakis to return to drachma during ongoing talks with us show how unpredictable he was as a partner," Slovak finance minister Peter Kazimir said. The country desperately needs to convince the rest of the eurozone about its commitment to a reform program if it wants to receive another huge bailout. "We need to make sure that such two-faced 'games' will be avoided when debating and drafting the third bailout package for Greece," Kazimir added.